A Stationery Studio Exclusive! 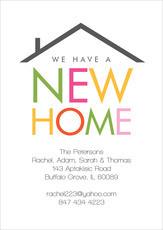 Send these personalized moving announcements to let friends and family know your new address. 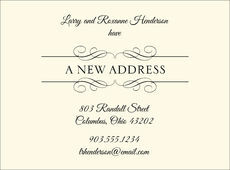 Flat printed in ink color and shown with your choice of typestyles. Full..
A Stationery Studio Exclusive! 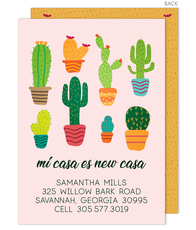 Send these personalized moving announcements to let friends and family know your new address. 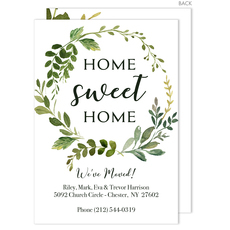 Flat printed in ink color as shown with typestyles of your choice. Full.. 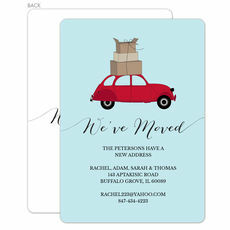 Enjoy a set of 50 flat moving cards with matching envelopes. Size approximately 6.25" x 4.625". You select either white or ecru stock color with raised ink color of your choice. Flat..
A Stationery Studio Exclusive! 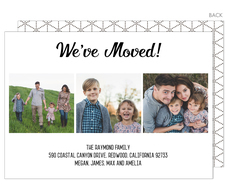 Send these personalized photo moving announcements to let friends and family know of your new address. Your photo will be digitally printed on announcement. Flat printed.. 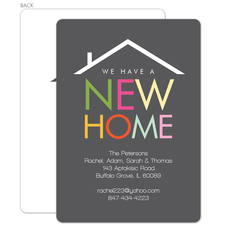 Send these personalized moving announcements to let friends and family know of your new address. Flat printed in typestyle and ink color as shown. Full back design as shown included. 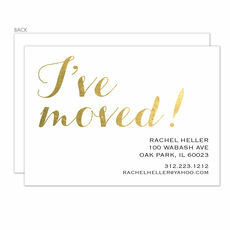 Size 5.5" x..
A Stationery Studio Exclusive! 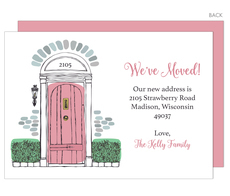 Send these personalized moving announcements to let friends and family know of your new address. Flat printed in ink colors of your choice in typestyle as shown. Full..
A Stationery Studio Exclusive! 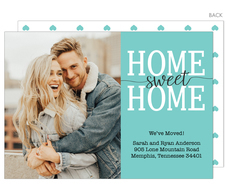 Send these personalized photo moving announcements to let friends and family know of your new address. Your photos will be digitally printed on announcement. Flat..
A Stationery Studio Exclusive! 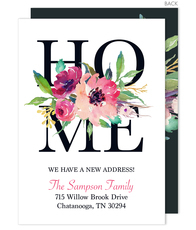 Send these personalized moving announcements to let friends and family know of your new address. Flat printed in ink color and typestyle as shown. Full back design as..
A Stationery Studio Exclusive! 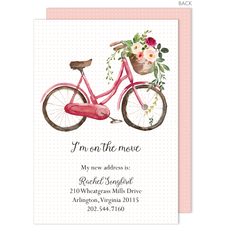 Send these personalized moving announcements to let friends and family know of your new address. Flat printed in ink colors and typestyles as shown. Full back design as.. 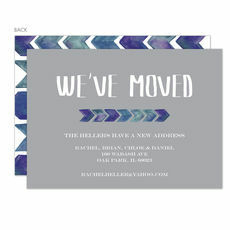 Send these personalized moving announcements with our foil stamped I've moved! 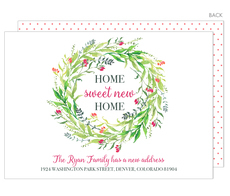 design to let friends and family know of your new address. Flat printed in typestyle and ink color as shown. Your.. It's an exciting time when moving into a new home or new apartment. There is a lot to do and many new details to think about. 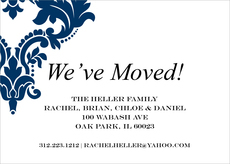 One important detail to consider, between the packing and the plans, is to remember to pick out a printed moving announcement that announces your new address. Staying in touch with family and friends is an important part of your new start. 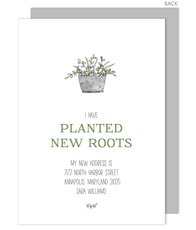 Many people love to mail a moving card with the new address and contact information to make it easy for those that are special to them. 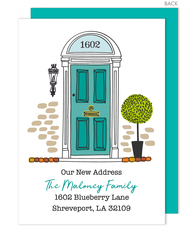 It's always handy to have a printed card available by the phone or at your desk with a name and address when mailing them a letter or holiday card. 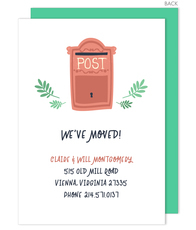 If you are moving your business or office, a moving announcement mailed to your client list can be a critical way to stay in touch. Not everyone has a smart phone with a contact list and there are still many who keep printed contact cards for easy access. So if you want your company information front and center, select a moving announcement that meets the style you are looking for to send to your client or customer list. 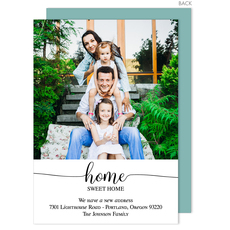 When selecting a moving card, determine if you want a classic or traditional style or if you want an announcement with a more modern design. 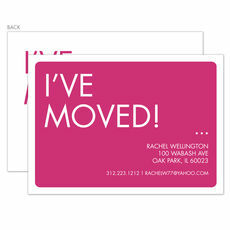 Also, consider if you want a photo to be included as there are a number of moving cards that feature a photograph. All these styles are available and can easily be personalized, printed and shipped right to you. 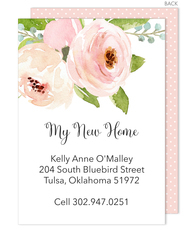 A new move also is a great time to order new personalized stationery, personalized address labels, self-inking stampers, and luggage tags to use, featuring your new address. 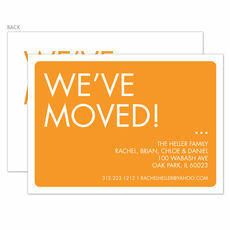 It's easy to share the news about your move with those most special to you with a set of personalized moving cards. 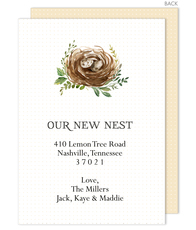 From the classic and traditional best-sellers to designs that are more whimsical and fun, your announcement will be remembered, unique and beautiful. Start your move our right. You will easily find something perfect to reflect your style. You can easily stay in touch with family and friends and important people you might be leaving behind when you make the move to a new home town.